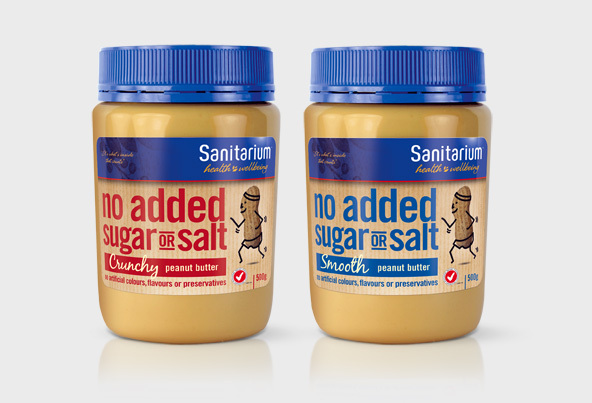 We agree with client Sanitarium that "it's what's inside that counts." 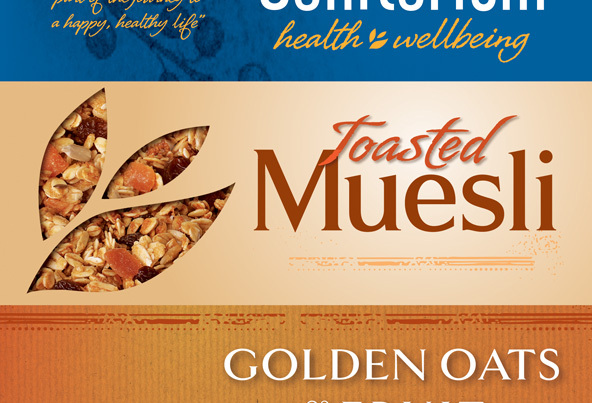 Our package design for the company's premium muesli cereals says as much. 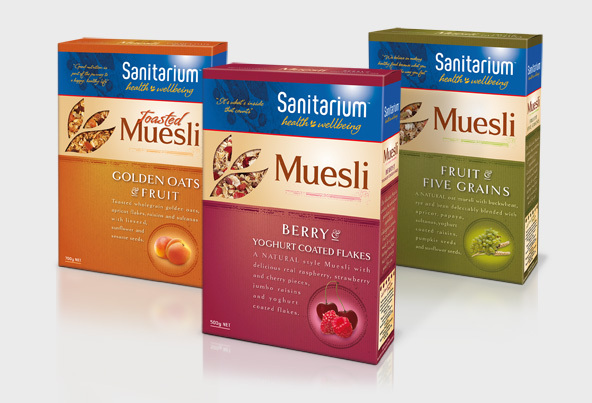 In keeping with the message of health and well being so central to the Sanitarium product line, we devised a handcrafted, wholesome look for these nutritious offerings. 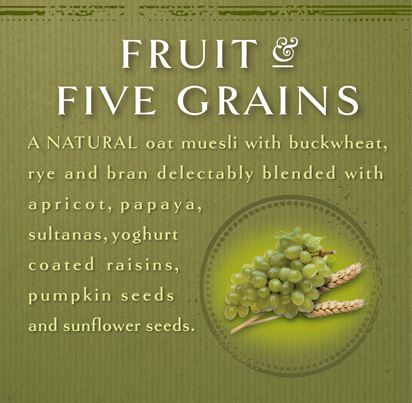 Leveraging the company's existing whole-grain brand mark, we designed an elegant die-cut window to provide a clear glimpse of the natural goodness within. To complement that clever effect, we selected an earth-toned palette to unify the range and rich colours to convey the distinct flavour of each variant. The result is a spectrum with high visual appeal and strong shelf impact. Because we also know that what's outside can make all the difference. 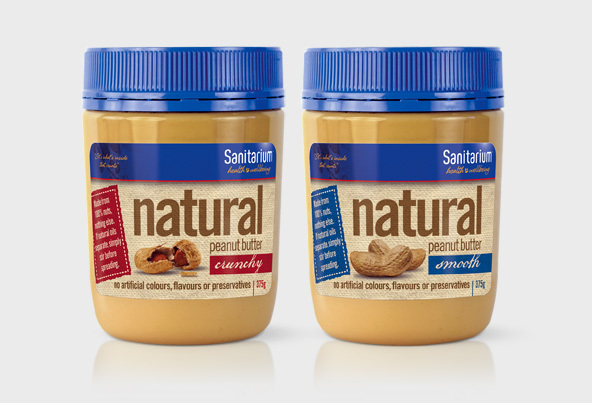 To help the Sanitarium range of peanut butters stand out on the shelf, we put the peanut to work. 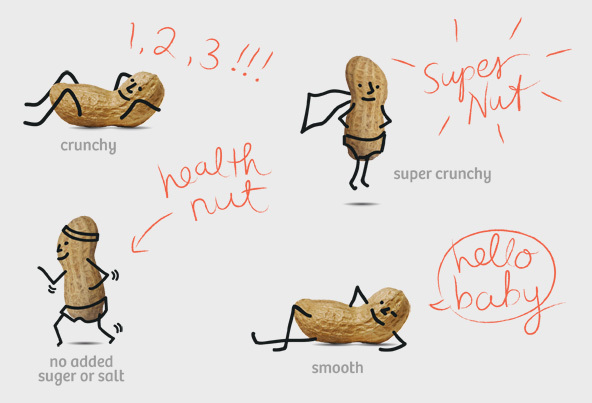 For the brand's Original spreads, a playful peanut poses in signature form against eye-catching hues. 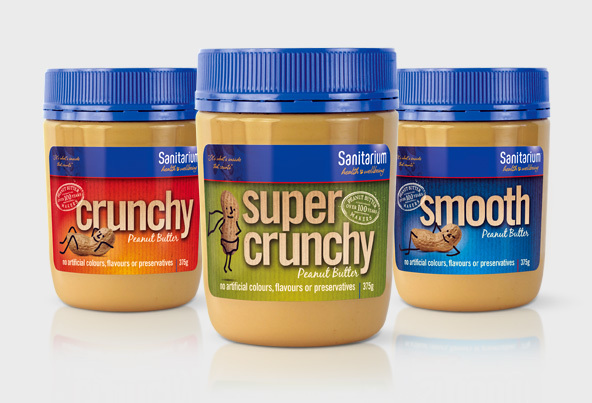 For the more health-conscious consumer, the No Added Sugar or Salt range features the peanut character in a less conspicuous posture, pursuing his wellness goals against a calming hemp-fabric background. Finally, on that same backdrop yet in a more sophisticated mood, our peanut reveals its true and essential nature: pure, healthy, and natural. 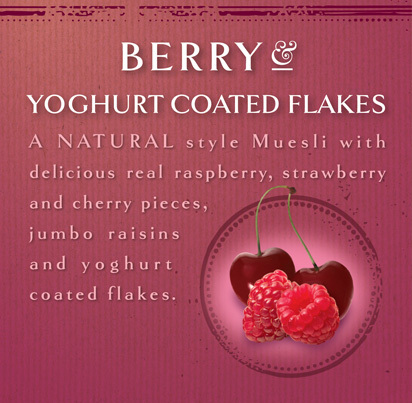 When your primary ingredient has this much character, why not let it speak for itself?